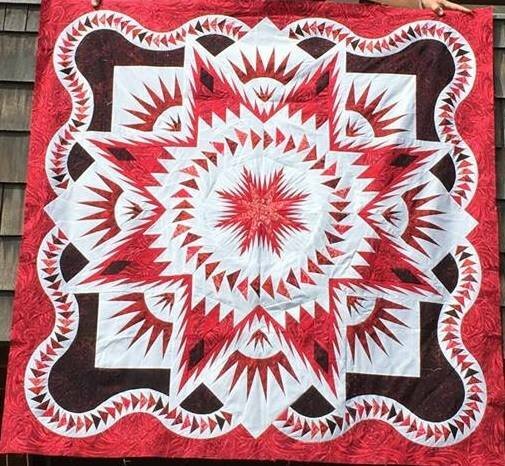 Description: Quilt With Passion is thrilled to offer Judy Niemeyer’s Glacier Star as our current Technique of the Month (TOM) Program. You will be proud to complete a beautiful Glacial Star quilt in just 7 months! Starting in September with color choices, certified instructor Julie Burger teaches a different Judy Niemeyer paper piecing technique each month, leading you to create a glorious quilt! TOM programs incorporate a wide range of techniques to familiarize quilters with paper piecing so they can successfully complete any Judy pattern. Class 1 covers fabrics, color choices, tools, organization, cutting papers and fabric, and set up. Join us for this once a month class and and find out just how easy Judy Niemeyer quilts really are! Choice of sizes: 60 x 60 inches or 90 x 90 inches.